Carl Gustav Jung founded analytical psychology and was one of the great thinkers of his day. 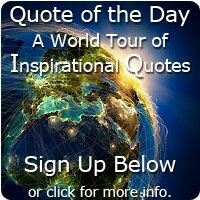 This is a brief profile and Top 10 list of inspirational Carl Jung quotes. 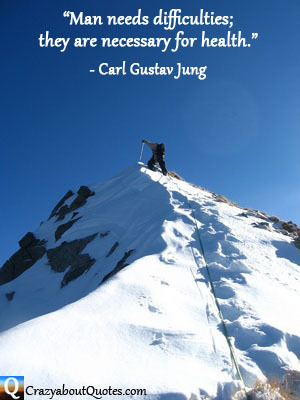 Profile: Carl Gustav Jung was born on July 26th, 1875 in Switzerland. From a wide variety of interests including philosophy, biology, and religion, he choose to study medicine and started his career in 1900 at a psychiatric clinic in Zurich. Jung was influenced by Sigmund Freud and they became friends when they meet in 1907. However it lasted only until 1912 when disagreements on the causes of neurosis ended there relationship. Their disagreements also involved the unconscious, were Freud felt dreams are hidden wish fulfillments, Jung delved deeper, believing in the process of 'individuation', combining the conscious and unconscious to bring about harmonious conditions in one's life. Jung resigned from his University position and entered into a tough period of self-analysis until 1918. He then went on to greatly influence psychological concepts, founding analytical psychology, and he travelled extensively, studying other cultures as his fame grew. Carl Gustav Jung died in 1961, he studied many religions during his life and believed the spiritual journey is necessary for personal growth. Who looks outside, dreams; who looks inside awakes." than the greatest of things without it." The creative mind plays with the objects it loves." "Man needs difficulties; they are necessary for health." The debt we owe to the play of imagination is incalculable." is to kindle a light in the darkness of mere being." and not how they are in themselves."